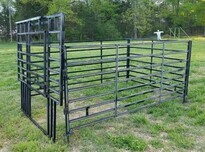 FOR SALE: MiraFount livestock waterers. New units at big savings. (931)675-3260. FOR SALE: 1x6x14 ft. pressure treated pine fence boards, $6.55 each. (931)675-3260.